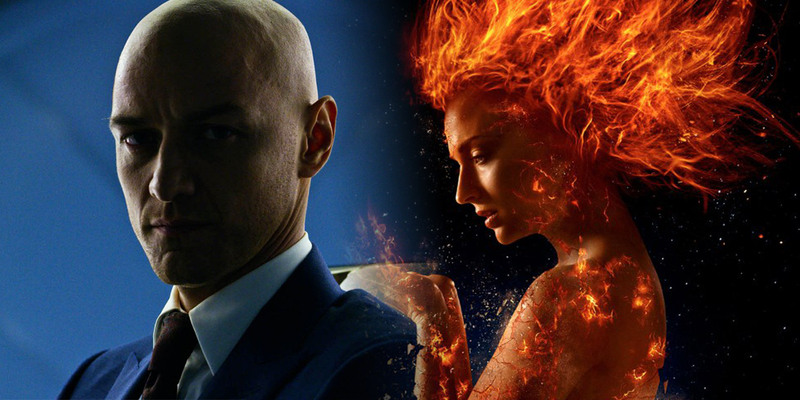 The original Dark Phoenix Saga certainly contains some pivotal moments for the X-Men, but not much in the way of franchise-altering twists beyond the titular character herself. EW's new cover story on the film, Simon Kinberg's directorial debut, reveals that there will be a surprise that could be so momentous that the X-Men franchise as you know it would never be the same. The only major character to die in the Dark Phoenix Saga comic is Jean Grey, who sacrifices herself in order to destroy the Dark Phoenix. Rumors have already surfaced that a major character will be killed off, so the twist halfway through the movie would presumably be a key character meeting their maker when the Dark Phoenix realizes her full powers. That brings up plenty of possibilities for who would die at the hands of the Dark Phoenix. In the original comic, Cyclops is killed in a psychic duel with the villain Mastermind, which breaks the final barrier over the Phoenix's powers and turns her into the Dark Phoenix. Perhaps Cyclops is killed off for real in the film, but it's not terribly likely that Kinberg would rehash a twist from The Last Stand. A potentially bigger death would be McAvoy's Charles Xavier, even though that would mess with the continuity of the timelines in X-Men: Days of Future Past and even Logan. Jennifer Lawrence's Mystique is also likely to be brought up as a potential character that will die. Sophie Turner, who plays Jean Grey (and eventually the Phoenix) in the film, says in the EW story that the sequel is about “the butterfly effect” of her character's transformation. That could hint at the continued use of time travel in the movie, and keeps alive the possibility of Xavier dying and massively changing the future, even as it was depicted in prior movies. Whatever direction Kinberg takes the story of X-Men: Dark Phoenix, the twist is sure to be on people's minds ahead of the movie's release - and possibly make major changes to the story of the original comic.